Currently celebrating 140 successful years in lighting, Crompton Lamps is one of the world’s oldest lamp suppliers, with an unrivalled reputation for adapting and keeping pace with trends and the latest technologies to offer a wide ranging and comprehensive product portfolio for anyone involved in the specification and purchase of light sources. Crompton also manufacture high quality, innovative, energy efficient luminaires that deliver excellent performance at affordable prices, for both commercial and domestic applications, via its Phoebe LED range. The Phoebe LED portfolio consists of interior, exterior and specialist area fittings that all offer totally energy efficient lighting solutions with emergency, sensor and DALI options available as specials. 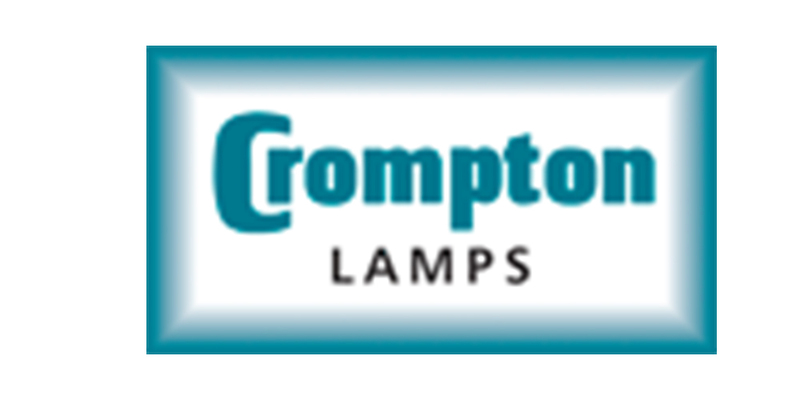 Crompton holds all stock for immediate dispatch from its UK distribution centre and has a team of experts on hand who can provide help and advice on selecting the right lamp and fitting for the task, whilst providing an after sales service second to none. All products are fully certified and thoroughly tested in Crompton’s own testing facility.